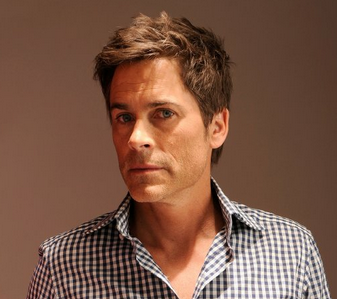 It looks like Chris Traeger is literally… ready for anything. The Parks and Recreation star also known as Rob Lowe is reportedly in talks to play Liberace’s plastic surgeon in the film Behind The Candelabra, according to Deadline. For those unaware of the significance the role Liberace’s plastic surgeon took in his life, let’s school you in man’s the weird and whimsical wiles. Liberace was so into himself that he made his lover/companion/limo driver/general plaything Scott Thorson get plastic surgery to look more like him. This included a nose job, the raising of his cheek bones, and a chin implant, all so Liberace could look at (and make out with) himself. To say nothing of Liberace’s personal aesthetic enhancements. Yikes! Steven Soderbergh is directing the film for HBO, which stars Michael Douglas as Liberace and Matt Damon as his aforementioned live-in lover. It is said the movie is to discuss the tempestuous hush-hush relationship between the two men. Dan Aykroyd and Debbie Reynolds are also starring in the flick. First Magic Mike, now this, Soderbergh? You’re killing us, man. We have reached out for comment, but have yet to hear back. Rob Lowe: From Drew Peterson to Casey Anthony. What Else is in His Lifetime Future?